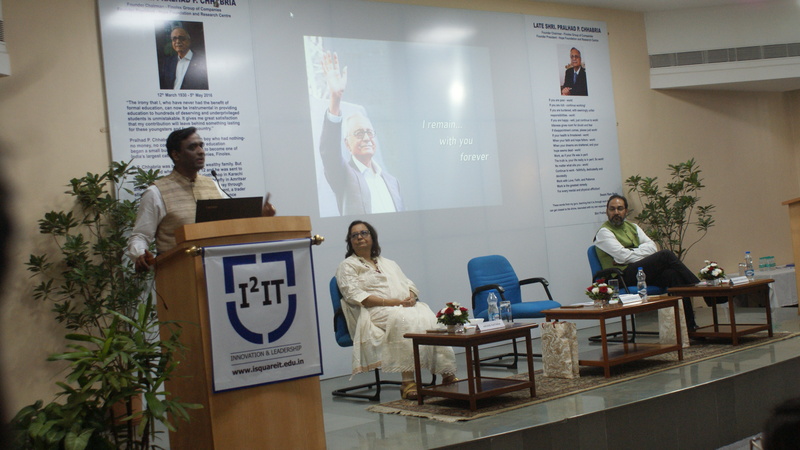 International Institute of Information Technology (I²IT) was established by Late Shri. P. P. Chhabria, Founder Chairman of Finolex Group of Industries, a well-known philanthropist, and former President of Mahratta Chamber of Commerce, Industries and Agriculture (MCCIA). 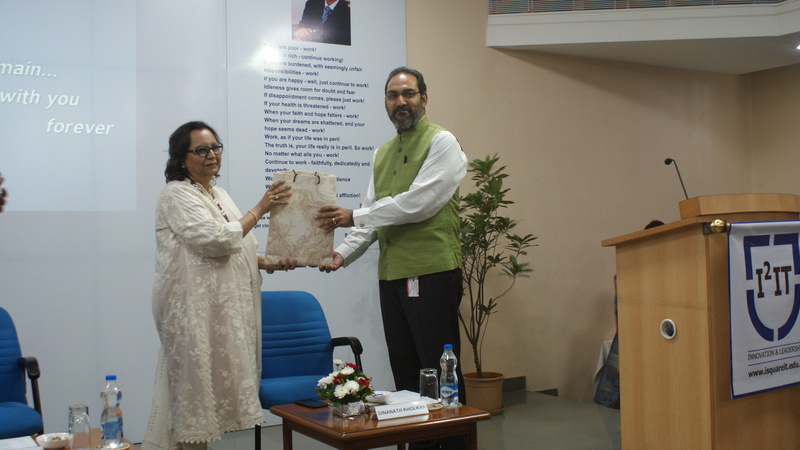 The Hope Foundation and Research Centre celebrated its 3rd Founder’s Day on I²IT Campus. 12 March marks the birthday of the Founder President of Hope Foundation and Research Centre, Late Shri Pralhad P Chhabria. Gracing the occasion as Chief Guest this year was Dr. Radhakrishnan Pillai, who is Deputy Director, Masters in Leadership Science, University of Mumbai and the Founder-Director of Chanakya Institute of Public leadership. 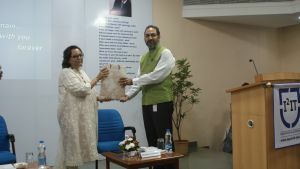 Mr. Dinanath Kholkar Vice President & Global Head Analytics & Insights, TCS and the IEEE Pune Section Chair joined the celebrations to announce the winners of 2019 Late Shri Pralhad P Chhabria Awards. The event began with garlanding the statue of Founder President in the central courtyard and seeking his blessings for every endeavour ahead. The entire entourage then moved to the Mohini Chhabria Convention Centre and that was where the I²IT Vidya Jyoti was lit. 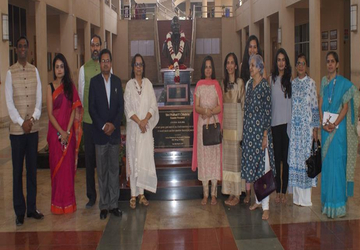 Doing the honours were the Chief Guest – Dr. Radhakrishnan Pillai, Mr. Dinanath Kholkar, Mrs Aruna M Katara, Ms Amrita Katara, Dr Samita Moolani Katara & Dr. Vaishali Patil. 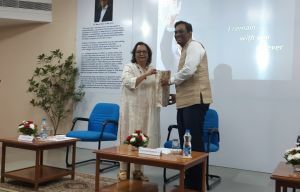 After felicitating the dignitaries of the day, Mrs Aruna M Katara, President, Hope Foundation and Research Centre, spoke a few words about her association with her father. She said that her father instilled in her the tradition of giving back to society. 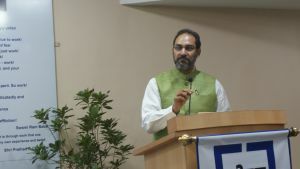 He also emphasized on the importance of educating the girl child. She reminiscenced about an incident when she had asked him what he would do differently if he got the opportunity to which his answer was that he would have completed his formal education. She said that she was proud to be his daughter and be handed this legacy which will live on for a long time. 2. Dr. Rajlaxmi Chouhan – Best Woman Professional (early career stage) – Rajlaxmi is currently working as Assistant Professor at IIT Jodhpur. 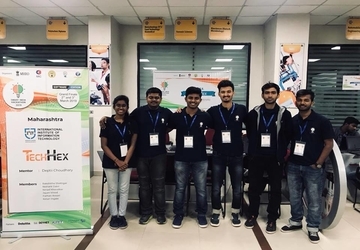 They will receive the award and the prizes during the forthcoming IEEE Event. 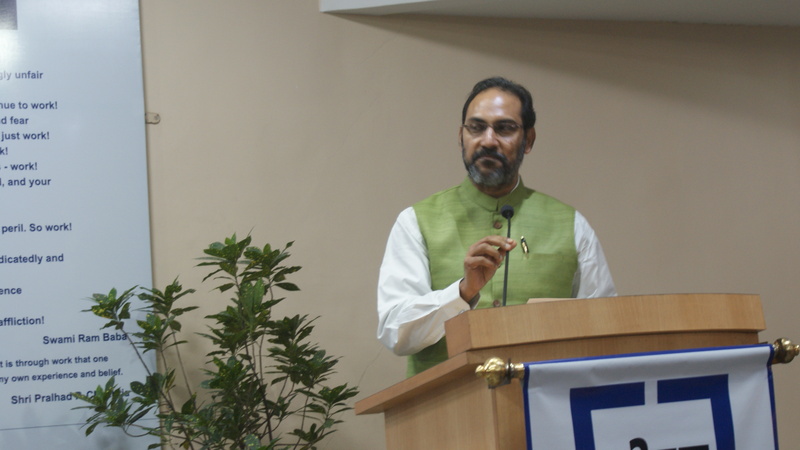 Speaking on the occasion, Mr. Kholkar said, that he only had 3 important messages to give to the youngsters of this country. The first message is to encourage the girl child to study, to be curious and explore her abilities. The second message was as educated and learned youth, one should find solutions for grass-root problems in areas like farming, animal husbandry and other primary sectors. The third message was to give back to society and not just the “HAVES” but to the “HAVE NOTS”. Connecting with rural India is the key to truly making India a super power he said. 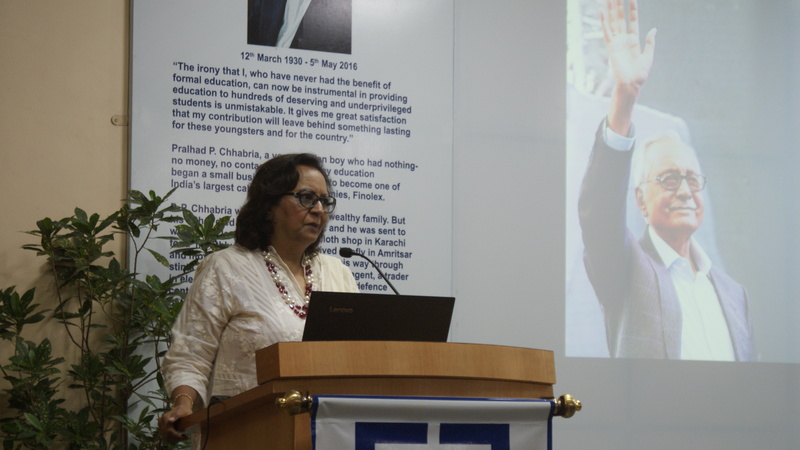 The Founder’s Day ended with a Vote of Thanks presented by Principal, I²IT, Dr. Vaishali Patil. 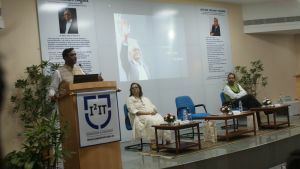 L to R – Dr. Radhakrishnan Pillai, Ms Rakhi Panigrahy, Mr. Dinanath Kholkar, Mr. Pankaj Roy Gupta, Mrs Aruna M Katara and other invited guests. 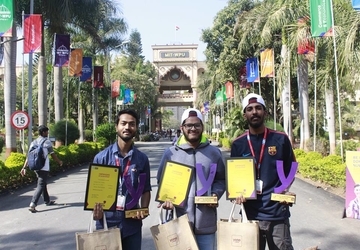 Hearty Congratulations to Rajat Yadav BE IT, Shubham Dubey & Ankit Kumar BE E&TC who bagged the First Prize at the Digital Round of the SBI Yono Quiz (Mumbai Circle) held at MIT-WPU Pune amongst 300+ teams participating which included NIT Goa, BITS, AFMC, XLRI, SIBM & COEP to name a few..
Hearty Congratulations to both the teams ! !